Global Construction Equipment Monitoring Industry Market Research 2017 | Market Research Reports® Inc. Global Construction Equipment Monitoring Industry Market Research 2017 report is published on September 19, 2017 and has 157 pages in it. This market research report provides information about Construction Equipment, Construction, Industry & Manufacturing industry. It covers Global regional market data and forecasts. It is priced starting at USD 2,600.00 for Single User License (PDF) which allows one person to use this report. In this report, we analyze the Construction Equipment Monitoring industry from two aspects. One part is about its production and the other part is about its consumption. In terms of its production, we analyze the production, revenue, gross margin of its main manufacturers and the unit price that they offer in different regions from 2012 to 2017. In terms of its consumption, we analyze the consumption volume, consumption value, sale price, import and export in different regions from 2012 to 2017. We also make a prediction of its production and consumption in coming 2017-2022. At the same time, we classify different Construction Equipment Monitoring based on their definitions. Upstream raw materials, equipment and downstream consumers analysis is also carried out. What is more, the Construction Equipment Monitoring industry development trends and marketing channels are analyzed. 1. What is the global (North America, South America, Europe, Africa, Middle East, Asia, China, Japan) production, production value, consumption, consumption value, import and export of Construction Equipment Monitoring? 2. Who are the global key manufacturers of Construction Equipment Monitoring industry? How are their operating situation (capacity, production, price, cost, gross and revenue)? 3. What are the types and applications of Construction Equipment Monitoring? What is the market share of each type and application? 4. What are the upstream raw materials and manufacturing equipment of Construction Equipment Monitoring? What is the manufacturing process of Construction Equipment Monitoring? 5. Economic impact on Construction Equipment Monitoring industry and development trend of Construction Equipment Monitoring industry. 6. What will the Construction Equipment Monitoring market size and the growth rate be in 2022? 7. What are the key factors driving the global Construction Equipment Monitoring industry? 8. What are the key market trends impacting the growth of the Construction Equipment Monitoring market? 9. What are the Construction Equipment Monitoring market challenges to market growth? 10. What are the Construction Equipment Monitoring market opportunities and threats faced by the vendors in the global Construction Equipment Monitoring market? 1. To provide detailed analysis of the market structure along with forecast of the various segments and sub-segments of the global Construction Equipment Monitoring market. 2. To provide insights about factors affecting the market growth. To analyze the Construction Equipment Monitoring market based on various factors- price analysis, supply chain analysis, porte five force analysis etc. 7. To track and analyze competitive developments such as joint ventures, strategic alliances, mergers and acquisitions, new product developments, and research and developments in the global Construction Equipment Monitoring market. Bridge Inspection Equipment Report by Material, Application, and Geography – Global Forecast to 2023 is a professional and in-depth research report on the world’s major regional market conditions, focusing on the main regions (North America, Europe and Asia-Pacific) and the main countries (United States, Germany, united Kingdom, Japan, South Korea and China). The report firstly introduced the Bridge Inspection Equipment basics: definitions, classifications, applications and market overview; product specifications; manufacturing processes; cost structures, raw materials and so on. 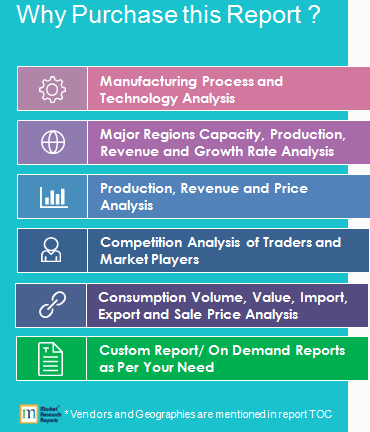 Then it analyzed the world’s main region market conditions, including the product price, profit, capacity, production, supply, demand and market growth rate and forecast etc. In the end, the report introduced new project SWOT analysis, investment feasibility analysis, and investment return analysis. As Chinese overall economic downward trend in the past few years, and international economic situation is complicated, in the next few years there will be many uncertainties, and coupled with Road Paver industry in oversupply for the past few years, as well as more and more companies enter into Road Paver industry, the current demand for Road Paver product is relatively weak, lack of demand, excess supply. Ordinary Road Paver products on the market do not sell well; Industrial Road Paver’s price is expected to be lower than past years. The Construction Machinery (B2B Procurement) Purchasing World Report gives data on a list of 71 categories of Raw Materials, Semi-Finished & Finished Products, Services, Sub-contracted Expenditures and Expenses by the 2522 entities in the Construction machinery sector. The data analyses each of up to 200 countries by each Product by 3 Time series: From 1997- 2019 and Forecasts 2020- 2027 & 2027-2046. The Construction Machinery & Equipment, Specialist (B2B Procurement) Purchasing World Report gives data on a list of 42 categories of Raw Materials, Semi-Finished & Finished Products, Services, Sub-contracted Expenditures and Expenses by the 317 entities in the Construction machinery & equipment, specialist sector. The data analyses each of up to 200 countries by each Product by 3 Time series: From 1997- 2019 and Forecasts 2020- 2027 & 2027-2046.